With this charcoal briquette plant, almost all kinds of agricultural waste and forestry waste can be made into charcoal briquettes. Such as sawdust, rice husk, bamboo powder, peanut shell etc. Charcoal briquette is renewable and eco-friendly energy especially for agricultural countries. The awareness of using bio-fuel is increasing day by day due to the soar of the traditional fuel cost. 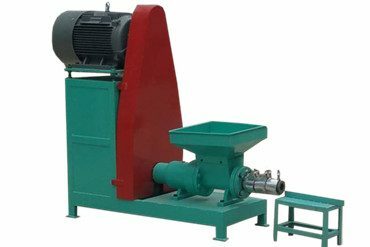 Charcoal biomass briquetting plant is an automatic briquetting plant that makes sawdust into briquettes with different size depending on customer’s requirements. Charcoal briquette plant consists of the four main steps which are biomass material crushing, drying, briquetting and carbonizing. 1. 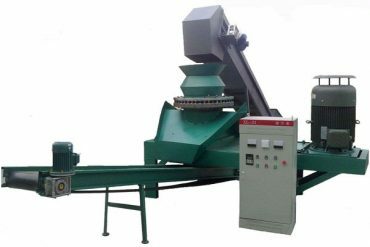 Biomass materials crushing machine is applied here to crush raw materials to small size suitable to dryer. 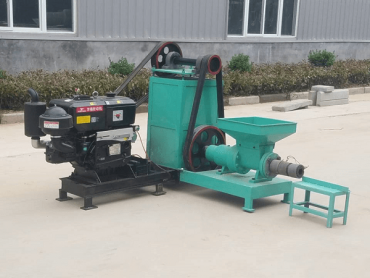 For biomass materials whose moisture content is above 30% and diameter is over 70mm, you can choose wood chipper; while wood hammer mill will be your ideal choice if your material’s diameter is less than 70mm and the moisture content is below 30%. 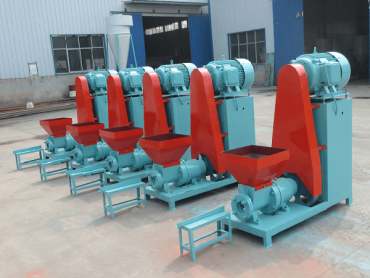 After crushing, biomass materials are with diameter of 3-5mm. 2. For biomass material drying stage, we have pipe dryer and rotary drum drying machine for your choice. 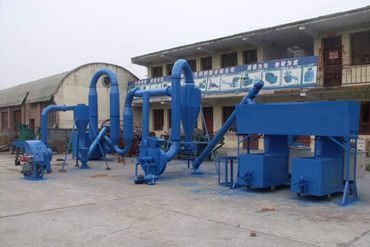 Biomass drying machine can reduce raw material moisture content to 8%-15%; the choice of drying machine depends on your processing capacity: pipe dryer for small scale production while rotary drum dryer for large scale drying. 3. In biomass briquetting, our briquette making machine can be customized according to customers’ unique requirements. The briquettes are of high combustion rate, can be cut to a certain length. 4. Carbonization stage, the temperature inside carbonization furnace can reach 450℃-650℃. The charcoal briquettes can be used to BBQ and heating in a cleaner way. 1. Thermal efficiency of charcoal briquette bars is enhanced by 30%-40%. 2. Charcoal briquettes are silver black with glossy section in hollow quadrangle or hexagon columnar type. 3. Through high temperature, purification and smoke abatement, carbonization furnace makes semi-finished product into clean charcoals with no smoke, no flavor and innoxious. 1. Widely used for home heating or getting warm. 2. Large demands for international barbecue markets. 3. The charcoal briquettes can be chemical raw material to be processed into activated carbon, carborundum, crystal silicon and so on. 4. Charcoals are the necessary raw materials for carbon disulfide factory, mosquito-repellent incense factory, explosive plants, copper processing factory and casting factory. 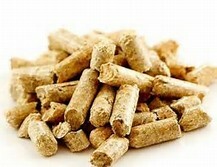 We are capable to offer you professional biomass briquettes and wood pellets solutions at any time!